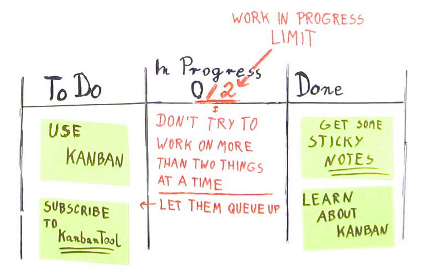 Kanban in 4 easy steps is one of the most popular Kanban presentations, viewed by over 150 000 people. Learn how to successfully implement Kanban in your business process or life. 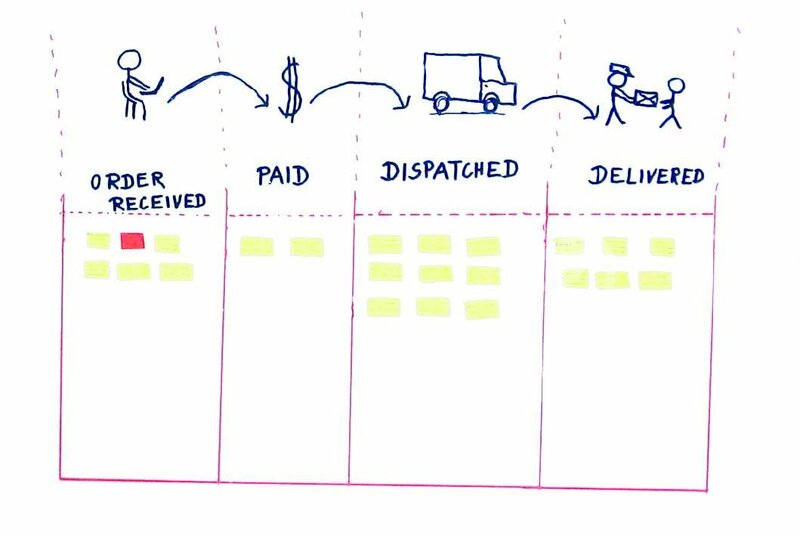 Get to know basic Kanban principles and to see how easily you can improve your productivity using Kanban boards. First, break down the flow of work from the moment you start it to when it's finished into distinctive steps and draw a column for each. Next, get some stickies. Write down each task on a separate sticky note. Use different colors for different types of work. Put them on the whiteboard. Each task will move from left to right until it's done and leaves the workflow. With two hands you can juggle only few balls before you start dropping them. 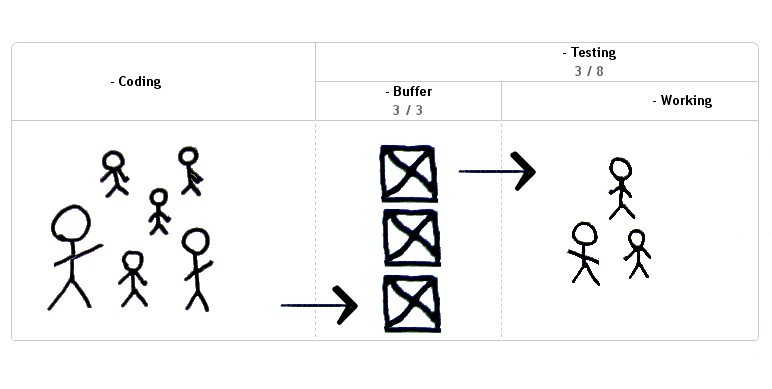 Kanban is all about maintaining flow and eliminating waste. Start by putting limits on columns in which work is being performed. WIP Limits aim to enforce a high, smooth flow of work and eliminate different kinds of waste. Step 3: Don't push too hard. Pull! It's easy to get friction between different teams, especially when one is performing better and pushes more work than another one can actually handle. A solution to this is a pull system, where next team pulls work only when they are ready for it. You can implement pull system by adding a limited capacity buffer between teams. The best tool to measure Kanban performance is Cumulative Flow Chart. Each day, for each column, mark how many tasks are in it or somewhere further down the workflow. This will produce a mountain-like looking chart, which gives insight into the process, shows past performance and allows to predict future results. Power Tip: Try out web-based Kanban board! 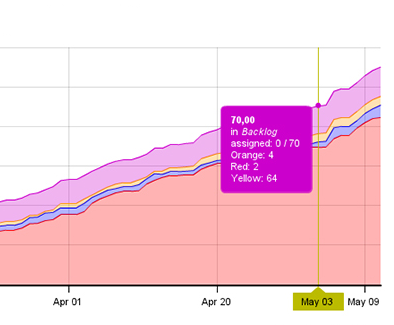 Kanban Tool powers over 25,000 small and large businesses.